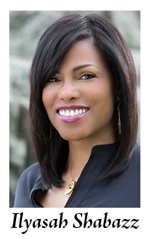 Great Michigan Read Author Ilyasah Shabazz, daughter of Malcolm X, will discuss “X: A Novel” at 7:00 pm in The Ford Freedom Rotunda in the Charles H. Wright Museum. Ms. Shabazz will be interviewed by Dr. Melba Joyce Boyd, Michigan Humanities Board Member and Distinguished Professor in African American Studies at Wayne State University. Books will be available for purchase and signing after the event. Meijer, National Endowment for the Humanities, The Scarab Club, and the Charles H. Wright Museum of African American History and WK Kellogg Foundation. The Historic Ford Estates, Detroit Public Library Foundation, Zingerman’s Community of Businesses, Sarah Jury, MSU Federal Credit Union, Library of Michigan, Bill Alsover, Michigan Radio, and Public Policy Associates. Michigan Humanities presents the Great Michigan Read to the entire state of Michigan.